Sprains and strains occur throughout our bodies, though often more common in the lower body, such as our ankles and knees. However, falls on our stretched out arms, contact injuries, and repetitive overuse movements can also cause such injuries. 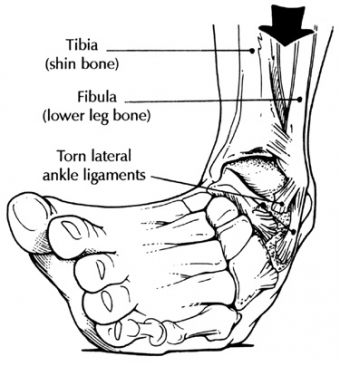 Both tend to cause pain, but how do you identify if the pain is from a sprain or a strain? A sprain is an issue with the ligaments being over stretched or torn, where as a strain is an issue with the muscle or tendon. Each of the tissues attempt to cope with the demands placed on them (weight, movement, activity level), but the load exceeds their capacity to resist it, resulting a varied spectrum of micro-tears to macro-tears to their fibers. Both have common symptoms such as pain around the affected joint, swelling, limited flexibility, and difficulty with the joints full range of motion. The key difference in identifying which type of injury; a sprain will often times identify with bruising, and a strain will present muscle spasms. The most commonly affected joints from sprains and strains include the back, thumb, wrist, knee, and the ankle. While our bodies have to capacity to begin the healing process on its own, ligament sprains and tendon/muscle strains will not return to their 100% function and structure, as before the injury. Physiotherapy aims to optimize this healing process, and create proper tensile forces through these healing tissues to better align the fibers and thereby maximize their strength. Strength and balance training, especially when recovering from a lower body sprain/strain, are two very important aspects of long-term injury prevention and overall functioning of your body part. 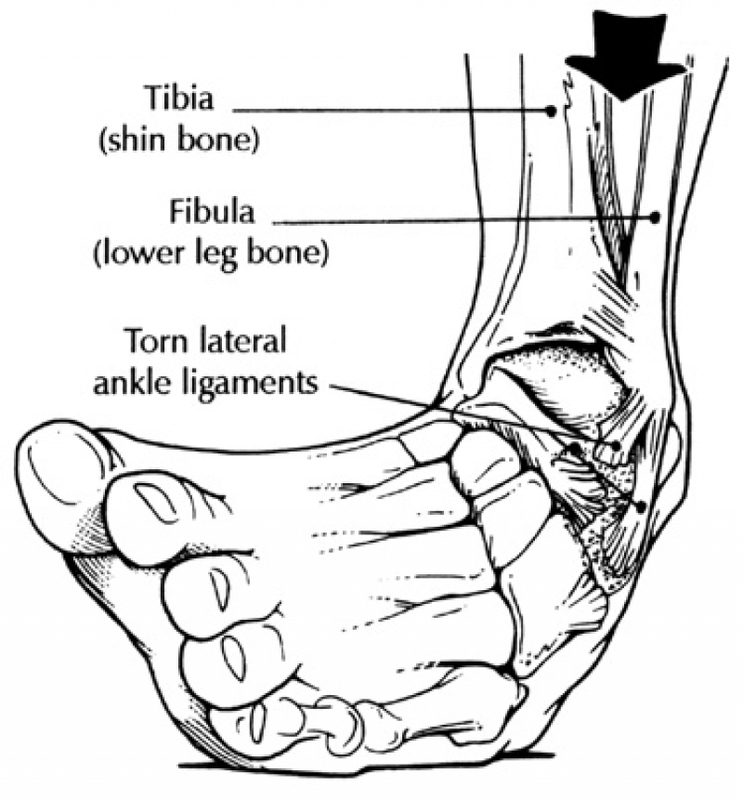 Literature states that once a ligament is affected by a sprain, you are at a high risk of recurrent sprains to that tissue in the future. Seeing a physiotherapist as early as possible will aid in your success to recover as much as possible from your ligament sprain, and give you the tools to help prevent future incidents. In past research, rest was often prescribed after a strain or sprain. While there is still sufficient evidence to support rest in the first 24-48 hours, more recent research has informed us that early strength and balance training can aid in the healing process more than prolonged rest. Getting moving in a healthy and quality way is what your physiotherapist will help you to do. Sprain and Strain injuries can often times be prevented with proper conditioning, equipment, and awareness of your environment. Good form and proper warm ups before activity will also be of great benefit. R - rest: Giving your injury time to rest is key during this inflammatory phase. Resting will facilitate pain and swelling reductions especially in the first 48 hours. If certain movements make the pain worse at the site of injury, then it is likely aggravating the tissue and can turn a minor injury into a more serious one if continued. Pain should be a limiting factor for most activities in these first days, however your pain may not be abolished in 2 days. Knowing when to return to activities will be a major component of your physiotherapy visit. crushed ice that can mold to your injury site, in a bag wrapped with a cloth to protect the skin. Gel packs are also effective way to ice the injury, however they can be much colder than crushed ice so be sure to protect the skin with a cloth. Ensure that the ice pack does not remain on the injury for longer than 15 minutes, and that the skin returns to its original colour and temperature before icing again. C - compression: wrapping the injury site will help to decrease swelling. When wrapping your injury, be sure to start at the bottom and work your way up (towards your heart). This design will help your system to send fluids and inflammatory products away from your injury site through the lymphatic system to be cleared. Always check that your fingers and toes (below to bandage) are not cold or losing colour or sensation. If this occurs, the compression is too tight and may cause further damage. When compressing an injury, it is not advised to wear the sleeve overnight. E - elevate: bringing your injury to rest on a pillow above the level of your heart will help the lymphatic system to drain some of the fluids from the injury site by using gravity. RICE therapy, when all combined together, will help your injury through the initial inflammatory process. After the first 48 hours, working with a physiotherapist to optimize healing and get you moving as safely and quickly and properly as possible. Early care and attention leads to faster recovery!